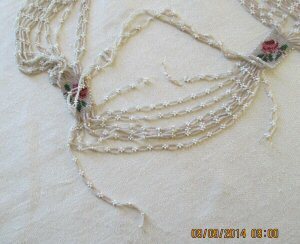 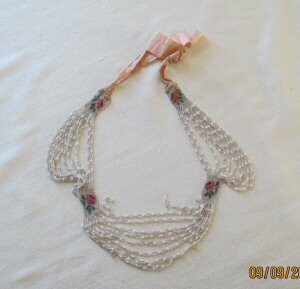 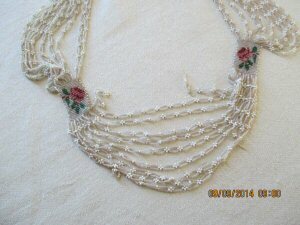 Artifact photos of a lovely woven beadwork (beadloomed) necklace, with four sections of bead weaving interspersed with double beaded chains, and a ribbon closure. 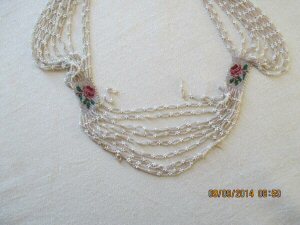 Very similar to a pattern shown in an edition of Penelope. 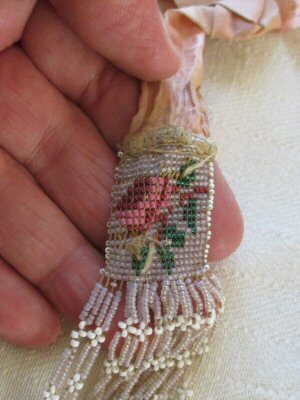 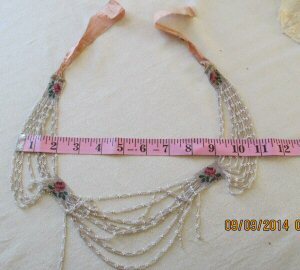 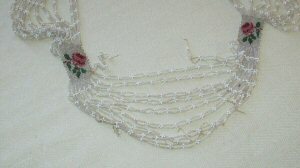 Includes chart for the woven rose motif, and bead counts for the joining, draped strand sections. 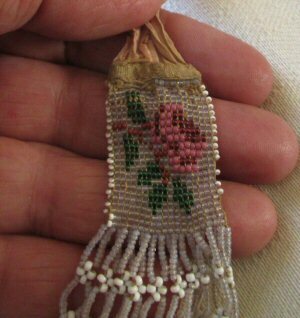 Images donated by ebay seller newenglandestate. 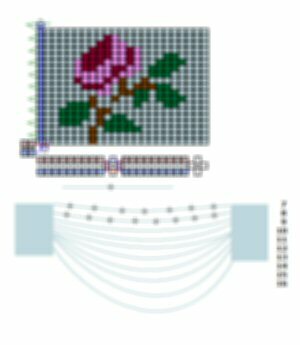 Pattern charted by Sytske Wijnsma.